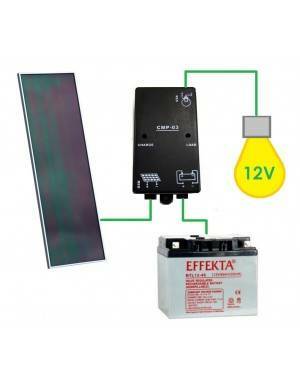 Solar Kit for 12V lighting. 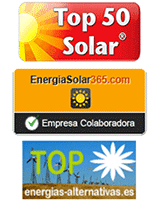 - A solar 3A regulator. - A sealed maintenance free battery Effekta BTL 12-20, 12V and 20Ah. 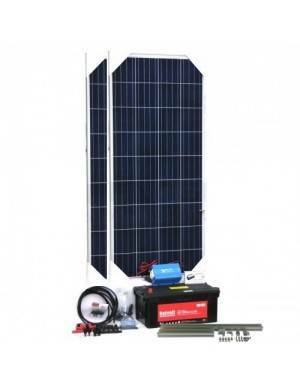 This kit is designed to power 12V loads, eg lighting in facilities off grid. This kit is designed to provide lighting points in country houses. 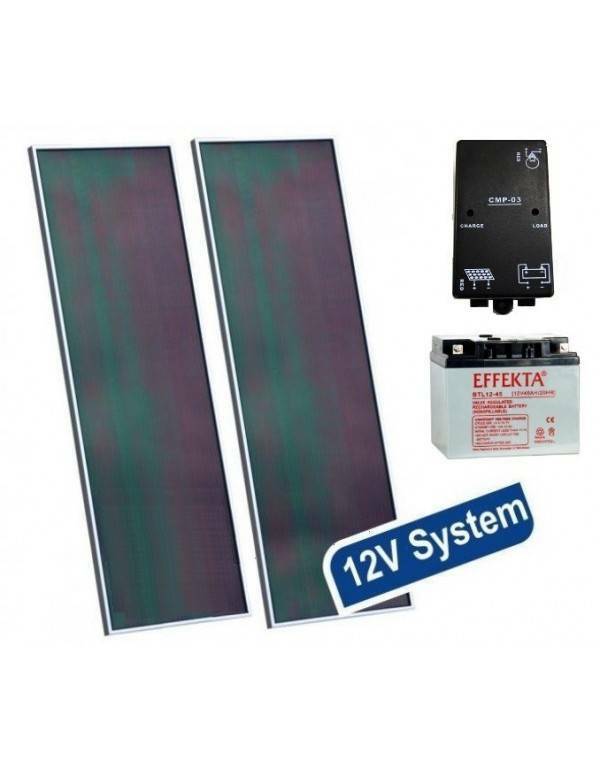 The battery capacity is equal to the average load of the two panels during the daytime; therefore this kit is designed for daily applications. The electric charge is achieved during the day to have enough energy throughout the night. Allows operation 2 point light 5W for 5 hours a day, even in winter. Regulator is able to run up to 3 thin film 14 Wp modules, so the kit is expandable in batteries and module depending on the final use.